ASUS has also launched their flagship ROG MATRIX GTX 780 TI Platinum graphics card which brings back the MATRIX design to the green camp after three years. The last NVIDIA card to feature ASUS’s MATRIX design being the ROG MATRIX GTX 580 was launched back in 2011 and now returns to back with a bang. The ASUS ROG MATRIX GTX 780 Ti Platinum features NVIDIA’s flagship GK110 core with 2880 CUDA Cores, 240 TMUs and 48 ROPs coupled with a 3 GB GDDR5 VRAM that operates along a 384-bit bus interface. 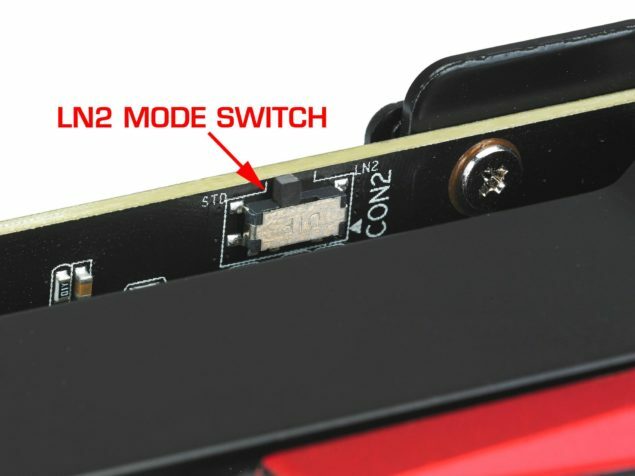 ASUS is being secretive about the clock speeds and additional details but we know that a card like this is backed with some huge and insane frequencies and even if it doesn’t, then it packs the power to let enthusiasts and overclockers ready their LN2 pots for some extreme cooling sessions. The ROG MATRIX GTX 780 Ti Platinum features 12 Phases for core and 4 Phases for memory with their latest DIGI+ II design featuring the high quality components, ICs, Super Alloy Power design, chokes and capacitors to deliver unprecedented performance to overclockers and enthusiasts. Juice is provided through dual 8-Pin connectors so we are looking at a TDP around 300W. The PCB is larger than the reference model due to the custom design and the addition of more phases on the board. The VRMs are cooled by a large black colored heatshrink which offers cooling support. 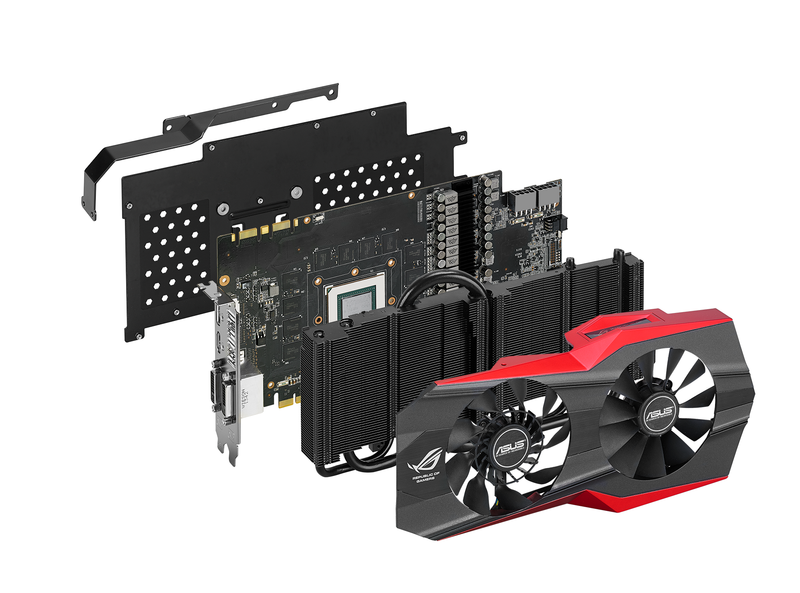 For cooling, ASUS has went with an all black design heatsink which is a large stack of aluminum fins cooled by two 92mm fans with CoolTech technology similar to the design featured on the DirectCU Mini graphics card. The heat sink features an internal heatpipe design, we can’t get an exact number but the one black colored heatpipe that comes out of the heatsink is large and measures around 8-9mm in diameter. 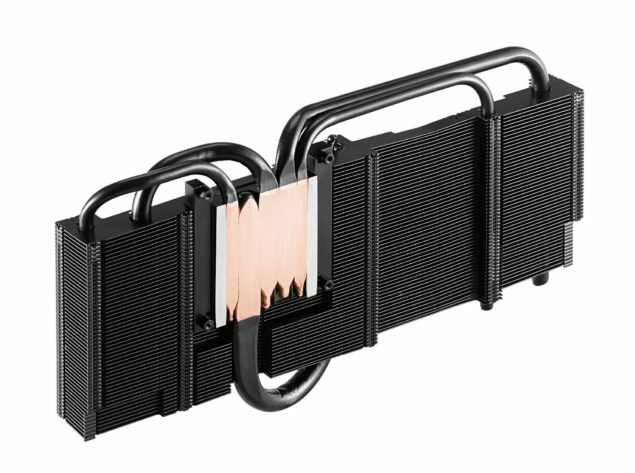 The heatsink features a DirectCU II contact surface which dissipates heat from the core to five black coated heatpipes that circulate the heat to the large aluminum fin array. 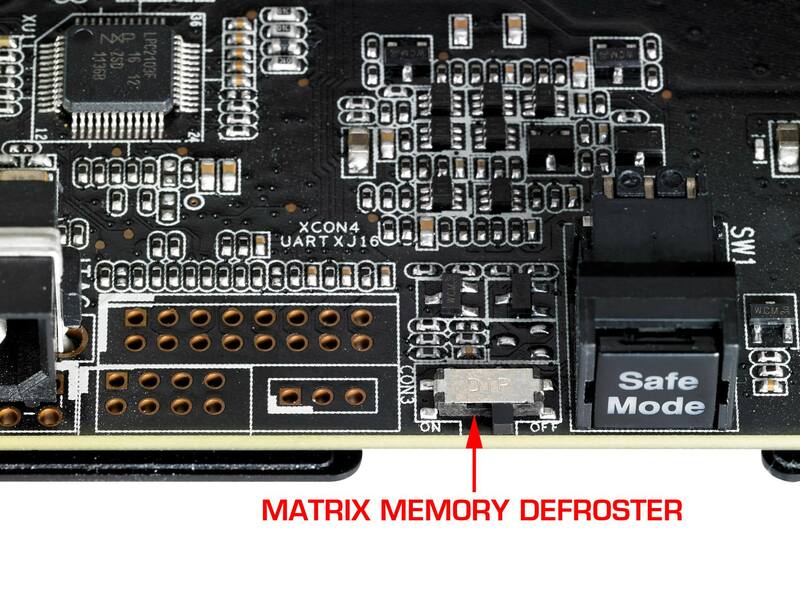 The PCB is slightly different then the one featured on ASUS’s ROG MATRIX R9 290X Platinum while the cooling design is kept same. 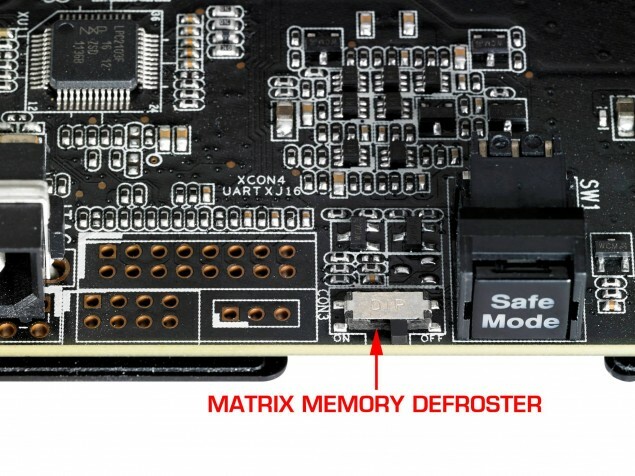 The design of the ASUS ROG MATRIX R9 290X Platinum looks alot similar to ASUS’s recent ROG Poseidon offering which featured the GeForce GTX 780 core. 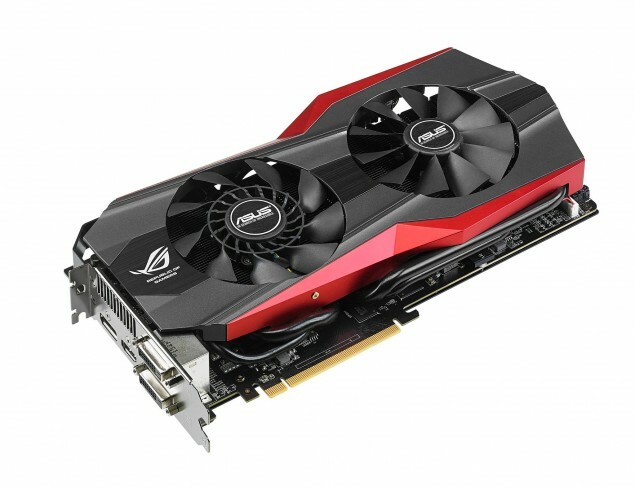 The shroud is a mix of black and red colors with a theme design that matches ASUS’s ROG scheme. The backside is covered with a full cover heatsink with a large ASUS MATRIX logo while display outputs include the usual Dual-DVI, HDMI and Display port. The ASUS logo on the side lits up since it has a built in LED. 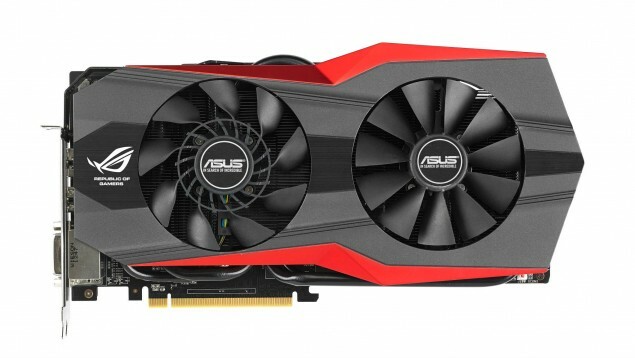 Expect launch of both graphics cards soon with a premium price tag over the reference prices of $699 US for the GeForce and $549 US for the Radeon variants.